After a stormy day, Maryland shines brightly at night on Friday, Sept. 23, 2011 at the U.S. Department of Energy Solar Decathlon at West Potomac Park in Washington D.C.
Vote now. 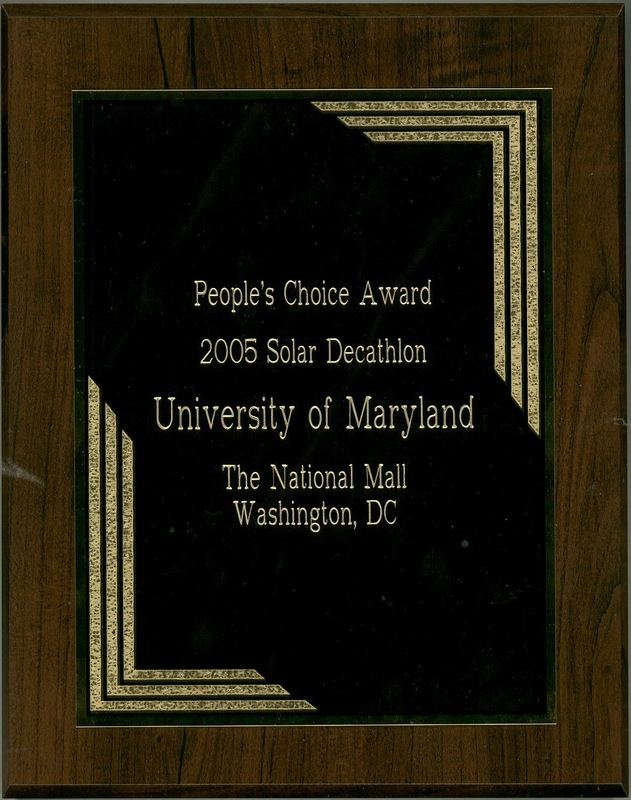 Maryland won the People’s Choice award in 2005 and 2007. Help us win three times in a row in 2011! Let’s keep the tradition alive by voting in this year’s competition! Voting is limited to one vote per e-mail address, so please share this with your friends and family! Voting ends Sept. 30, 2011, at 7 p.m. The People’s Choice Award will be presented Oct. 2 at the Victory Celebration. With your help, let’s see Maryland take top prize for the third time! You can vote mobile, if you prefer! Vote for WaterShed in the Solar Decathlon 2011 People’s Choice Award! — Vote before September 30th!